What is a “substance hazardous to health”? COSHH Essentials sets out basic advice on what to do to control exposure to hazardous substances in the workplace. It takes the form of straightforward advice in â€˜factsheetsâ€™ called â€˜control guidance sheetsâ€™. There are two types of sheets, industry-specific â€˜direct advice sheetsâ€™ and â€˜generic control guidance sheetsâ€™. biological agents(germs). If the packaging has any of the hazard symbols then it is classed as a hazardous substance. germs that cause diseasesÂ such as leptospirosis or legionnaires diseaseÂ andÂ germs used in laboratories. 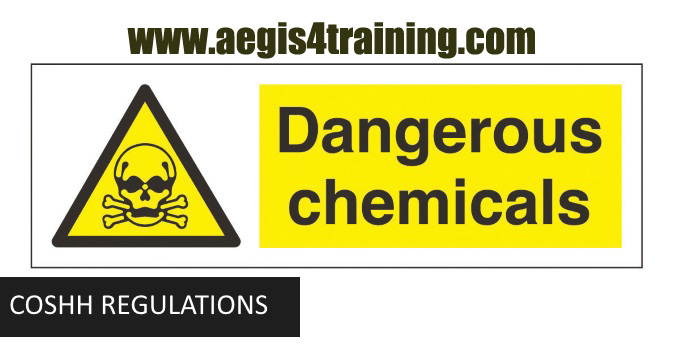 Visit our ONLINE TRAINING FOR COSHH!